The proof is out there…thanks to NASA’sÂ Hubble Space Telescope. 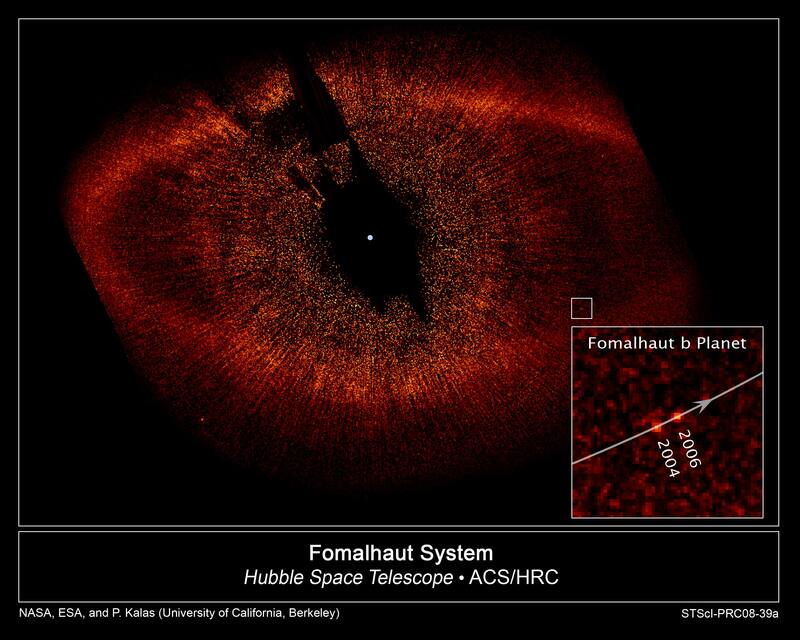 HubbleÂ took the first picture of a planet outside our solar system orbiting a star called Fomalhaut, NASA has announced. Hubble astronomer Paul Kalas, of the University of California atÂ Berkley, and his team have been studying debris around the star since 2001. Obervations taken 21 months apartÂ show that thereÂ is an object moving around that star the way Earth moves around the sun. An actual image from Hubble showing the planet orbiting its star. The planet called Fomalhaut b is located 25 light-years away from usÂ in the costellation Piscis Australis. The planet is 10.7 billion miles from the star, 10 times the distance between Saturn and our sun. The planet takes 872 years to make a complete orbit around the star. Photo credit: NASA. For a larger image click here. For addtional media click here.